All people, including contact lens wearers, should be aware of the risk of glaucoma, it has been noted. In an article for the online pages of the Times, Dr Thomas Stuttaford explains they also need an awareness of the tests required to prevent the condition. Glaucoma, the publication notes, is an eye condition which causes varying degrees of peripheral vision loss - and can also, in some cases, lead to blindness. "The increase in pressure in the eyeball experienced by patients with glaucoma stems from obstruction to the circulation of the fluid within the eye. 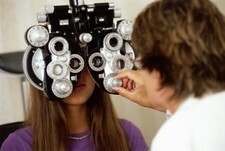 The increased pressure leads to increasing damage to the optic nerve and the loss of sight," it notes. Dr Stuttaford explains a thorough test for glaucoma should include a test of the eye pressure and also the condition of the optic nerve. The BBC notes there are two kinds of glaucoma - acute and chronic.